Hi all hope it has been a good Summer for u all and u have the energy reserves to greet the new Season Of Autumn if not some Qi Practice always helps . An easy to follow routine for all levels. Anyone i have spoken to or has trained Qi Gong ,Tai Chi for many years always tell me its the daily practice that keeps the Qi flowing. Its not easy to wake up and start the daily exercise but it always reconnects us to that part of ourselves that renews our connection to the lifeforce and the way we look at things with a bit more positivity . There is a basic form and an advanced version of this short form and it only takes 10- 15 mins to do the basic u can do it along with any other exercise programme and if u wish to deepen it just spend longer on each exercise. One of the main points is a daily healing and activating of the glands in the body and our internal organs . We know about there production of hormones which are proven to have the ability to create our own healing medicine for almost all ailments emotional and physical,Also just some good general principles of Qi Gong and Tai Chi to activate our spine and nervous system combined with 3 levels of breathing the form is taught along with some theory session to understand why we are doing these practices. 10.00 am – 12.30 Basic Qi Gong , Daily practice for healing . 10.00 AM – 5.00 ,Daily practice for healing. This six movement form for health flexibility and core strength opens up the 12 meridians and opens Qi Flow. 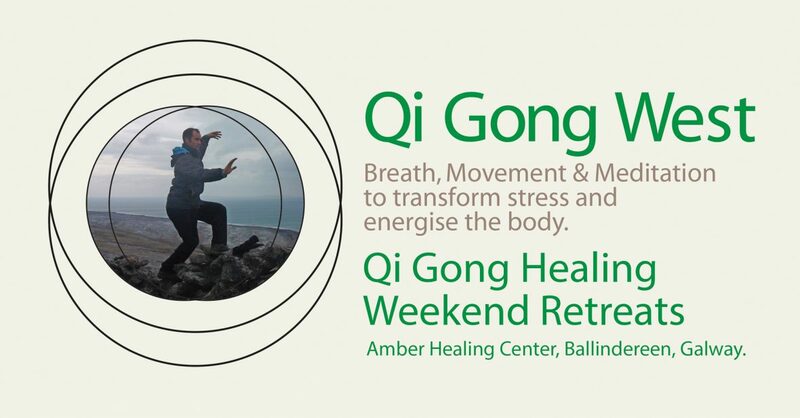 Go to http://www.qigongwest for all upcoming events .